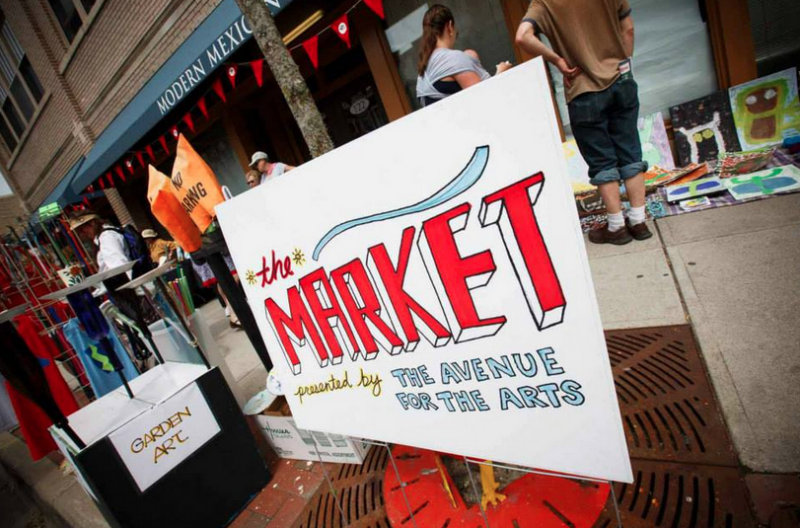 Showcasing local artists and businesses, this street market style event features the work of local artists and artisans, showcasing a wide selection of tasteful and fun handmade goods by some of Grand Rapids’ most talented creative doers. 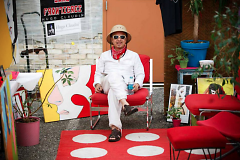 Visit an outdoor market and more than 10 gallery stops during The Market on First Fridays: Presented by Avenue for the Arts on June 6, 2014. For the summer months, First Fridays is merging with The Market to create a single event. 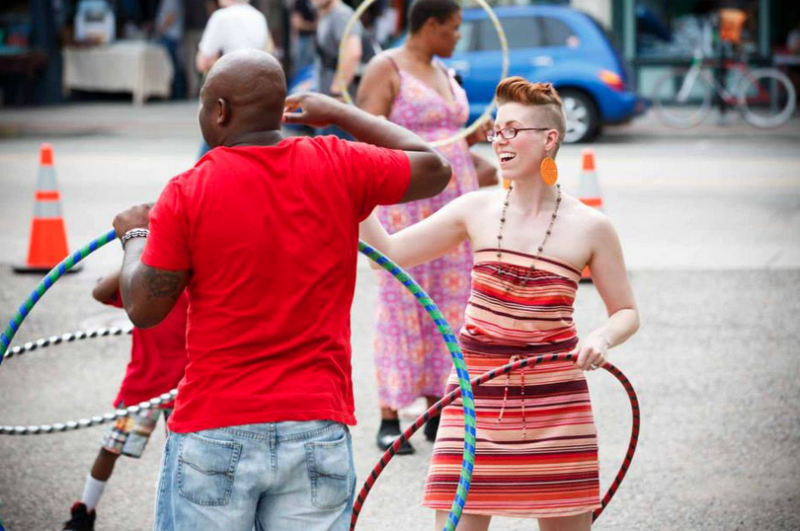 In addition to the gallery and shop hop on June 6, the sidewalks will be flooded with artist vendors, performances and entertainment all along South Division. Showcasing local artists and businesses, this street market style event features the work of local artists and artisans, showcasing a wide selection of tasteful and fun handmade goods by some of Grand Rapids’ most talented creative doers. The Market on First Fridays is one of the best opportunities this summer to find unique gifts and treasures. The Market on First Fridays will also feature a variety of entertainment throughout the day. Since Fall, 2013, First Fridays has offered a unique opportunity to check out the shops, galleries and eateries along the rapidly evolving South Division Corridor. First Friday events include drink specials, exhibition receptions, sales and featured artwork. Both downtown residents and art supporters from surrounding neighborhoods come together to experience local art and culture on the first Friday of every month. This event strengthens the commerce and community in Grand Rapids by attracting artists and art enthusiasts from all over the city. On view at the (106) Gallery is the exhibition LANDMARKED. This collection of work brings together five artists whose works reinterpret the breadth of book arts and represent the many ways in which we map our surroundings. "Landmarks" signify places or turning points with special value, and serve as guides or markers along a journey. The works of LANDMARKED explore our outlooks on both literal landscapes as well as personal geographies, revealing what we choose to highlight along the way. Located at 120 S Division, Parliament the Boutique is hosting a Natural Tie Dye Party. For $20.00 per shirt, visitors can naturally tie-dye their own garment during the event. This workshop is hosted at the Boutique's storefront location with the majority of the dye work happening on the sidewalk out front. The Gaspard Gallery, located at 235 S Division, will be hosting a solo exhibition of new photographs by local artist Ben Piña. This series combines photography with written word to explore the potential sources and validity of making assumptions. It comments on habits of association when given little known facts and common names. Gaspard Gallery will also be selling remaining copies of Gaspard’s publications: Beholder, Spiritual Lake, and Disorder. Additionally, small works will be available by Jeff Kraus and Leah Schreiber. Registration for musicians, performers and vendors continues through the event. Stay updated on news about The Market on First Fridays by checking out the website. Follow Avenue for the Arts on Twitter or Instagram @avefortheartsGR and join the conversation by using #avenueforthearts. Also, connect with Avenue for the Arts on Facebook for updates and special event postings. Take a look at images from last years event on the Avenue for the Arts Flickr page. 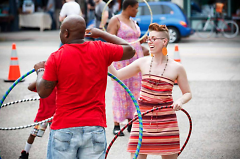 The Market on First Fridays presented by Avenue for the Arts is a program facilitated by the Dwelling Place and supported by Downtown Grand Rapids Incorporated and the Michigan Council for Arts and Cultural Affairs. Pictures are available by request by email.